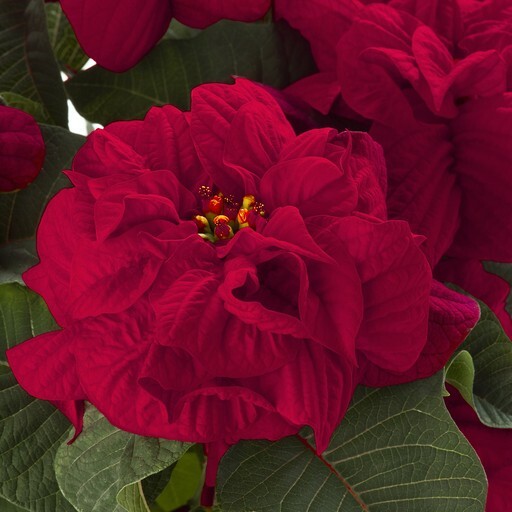 Supplied as pictured, these miniature Harlequin Poinsettia, also know as Winter Roses due to the ruffled rose like appearance to the Red bracts will make a wonderful addition to windowsills, decorating tables, or as neat little gifts. 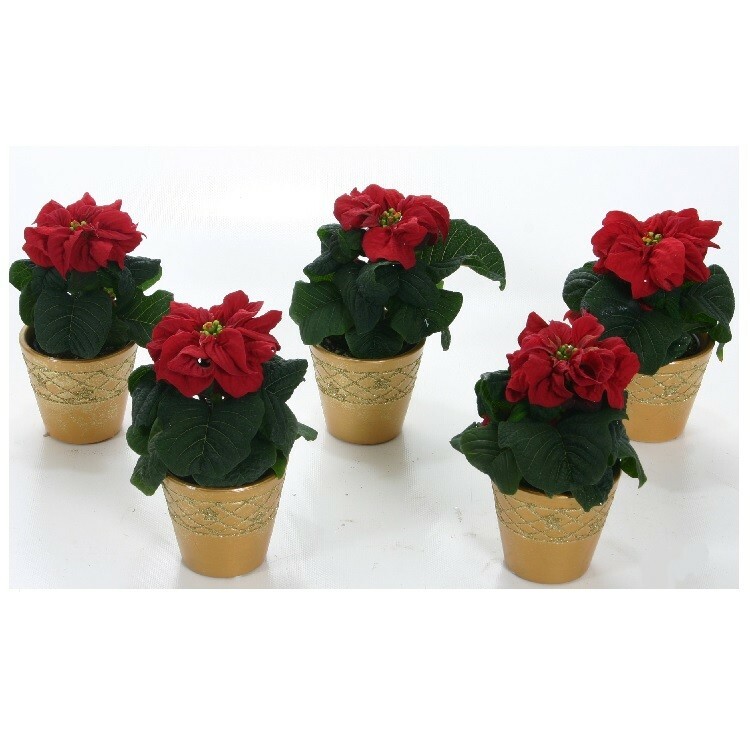 Supplied complete with their own individual smartly decorated ceramic pots. Approx height of 12-14cms.